A woman has complained that a pancake she was served while dining out already had a chunk bitten out of it. However, the pub restaurant where she was a customer strongly refutes the claim insisting the “human bitemark” is simply where part of the pancake had broken off as it was delivered to her table. Ms Downe, who has a degree in law, says she has been a regular in restaurants in the area for the past ten years, and currently dines out about five times a week. 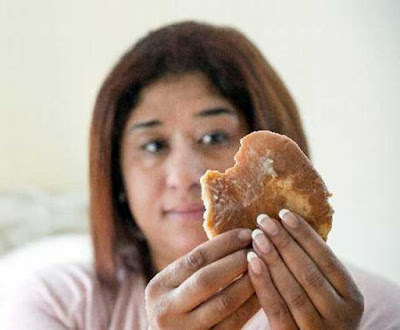 She took the pancake home and has now handed it over to Barnet Council’s environmental health team, who confirmed that they were carrying out tests. Natasha hopes it can be DNA tested with a view to identifying who “took the bite” because, she says, if it was a staff member, there are concerns about them working in other restaurants.